We do not treat further of the sister, as she now drops out of the story, but only of Chuqui-llantu. She was very sad and pensive when she could see no signs of her beloved shepherd on her way back to the palace. She was in great sorrow at not having seen him, and when, as was usual, the guards looked at what she brought, they saw nothing but the cloak. A splendid supper was provided, and when every one went to bed the princess took the cloak and placed it at her bedside. As soon as she was alone she began to weep, thinking of the shepherd. She fell asleep at last, but it was not long before the cloak was changed into the being it had been before. It began to call Chuqui-llantu by her own name. She was terribly frightened, got out of bed, and beheld the shepherd on his knees before her, shedding many tears. She was satisfied on seeing him, and inquired how he had got inside the palace. He replied that the cloak which she carried had arranged about that. then Chuqui-llantu embraced him, and put her finely worked lipi mantles on him, and they slept together. When they wanted to get up in the morning, the shepherd again became the cloak. As soon as the sun rose, the princess left the palace of her father with the cloak, and when she reached a ravine in the mountains, she found herself again with her beloved shepherd, who had been changed into himself. But one of the guards had followed them, and when he saw what had happened he gave the alarm with loud shouts. The lovers fled into the mountains which are near the town of Calca. Being tired after a long journey, they climbed to the top of a rock and went to sleep. They heard a great noise in their sleep, so they arose. The princess took one shoe in her hand and kept the other on her foot. Then looking towards the town of Calca both were turned into stone. To this day the two statues may be seen between Calca and Huayllapampa. THE NATIVES OF THIS LAND affirm that in the beginning, and before this world was created, there was a being called Viracocha. He created a dark world without sun, moon or stars. Owing to this creation he was named Viracocha Pachayachachi, which means "Creator of all things." And when he had created the world he formed a race of giants of disproportioned greatness painted and sculptured, to see whether it would be well to make real men of that size. He then created men in his likeness as they are now; and they lived in darkness. Viracocha ordered these people that they should live without quarrelling, and that they should know and serve him. He gave them a certain precept which they were to observe on pain of being confounded if they should break it. They kept this precept for some time, but it is not mentioned what it was. But as there arose among them the vices of pride and covetousness, they transgressed the precept of Viracocha Pachayachachi and falling, through this sin, under his indignation, he confounded and cursed them. 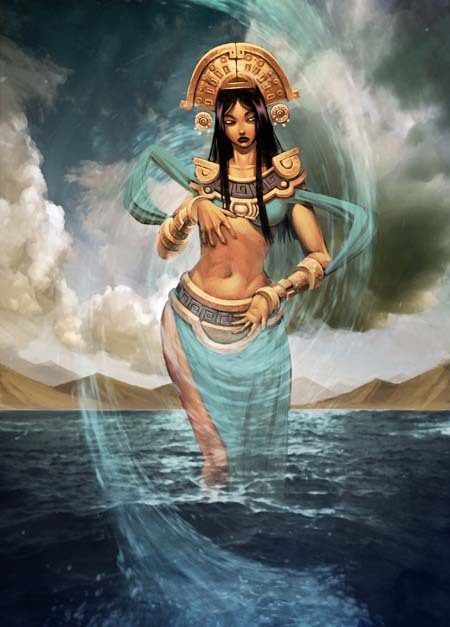 Then some were turned into stones, others into other things, some were swallowed up by the earth, others by the sea, and over all there came a general flood which they call uñu pachacuti, which means "water that overturns the land." They say that it rained days and nights, that it drowned all created things, and that there alone remained some vestiges of those who were turned into stones, as a memorial of the event, and as an example to posterity, in the edifices of Pucara, which are leagues from Cuzco. They say that in the time of the deluge called uñu pachacuti there was a mountain named Guasano in the province of Quito and near a town called Tumipampa. The natives still point it out. Up this mountain went two of the Cañaris named Ataorupagui and Cusicayo. As the waters increased the mountain kept rising and keeping above them in such a way that it was never covered by the waters of the flood. In this way the two Cañaris escaped. These two, who were brothers, when the waters abated after the flood, began to sow. One day when they had been at work, on returning to their but, they found in it some small loaves of bread, and a jar of chicha, which is the beverage used in this country in place of wine, made of boiled maize. They did not know who had brought it, but they gave thanks to the Creator, eating and drinking of that provision. Next day the same thing happened. As they marvelled at this mystery, they were anxious to find out who brought the meals. So one day they hid themselves, to spy out the bringers of their food. While they were watching they saw two Cañari women preparing the victuals and putting them in the accustomed place. When about to depart the men tried to seize them, but they evaded their would-be captors and escaped. The Cañaris, seeing the mistake they had made in molesting those who had done them so much good, became sad and prayed to Viracocha for pardon for their sins, entreating him to let the women come back and give them the accustomed meals. The Creator granted their petition. The women came back and said to the Cañaris--"The Creator has thought it well that we should return to you, lest you should die of hunger." They brought them food. Then there was friendship between the women and the Cañari brothers, and one of the Cañari brothers had connexion with one of the women. Then, as the elder brother was drowned in a lake which was near, the survivor married one of the women, and had the other as a concubine. By them he had ten sons who formed two lineages of five each, and increasing in numbers they called one Hanansaya which is the same as to say the upper party, and the other Hurinsaya, or the lower party. From these all the Cañaris that now exist are descended. IT IS RELATED that everything was destroyed in the flood called uñu pachacuti. It must now be known that Viracocha Pachayachachi, when he destroyed that land as has been already recounted, preserved three men, one of them named Taguapaca, that they might serve and help him in the creation of new people who had to be made in the second age after the deluge, which was done in this manner. The flood being passed and the land dry, Viracocha determined to people it a second time, and, to make it more perfect, he decided upon creating luminaries to give it light. 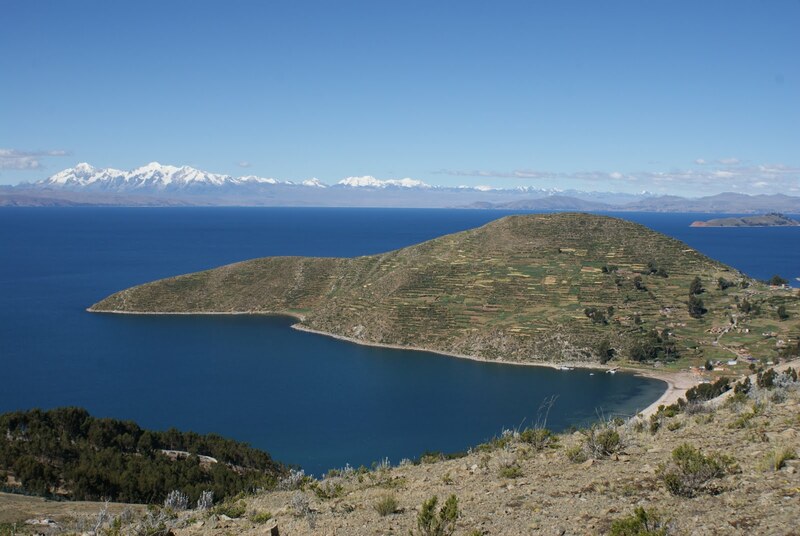 With this object he went, with his servants, to a great lake in the Collao, in which there is an island called Titicaca, the meaning being "the rock of lead," of which we shall treat in the first part. Viracocha went to this island, and presently ordered that the sun, moon, and stars should come forth, and be set in the heavens to give light to the world, and it was so. They say that the moon was created brighter than the sun, which made the sun jealous at the time when they rose into the sky. So the sun threw over the moon's face a handful of ashes, which gave it the shaded colour it now presents. This frontier lake of Chucuito, in the territory of the Collao, is leagues to the south of Cuzco. Viracocha gave various orders to his servants, but Taguapaca disobeyed the commands of Viracocha. So Viracocha was enraged against Taguapaca, and ordered the other two servants to take him, tie him hands and feet, and launch him in a balsa on the lake. This was done. Taguapaca was blaspheming against Viracocha for the way he was treated, and threatening that he would return and take vengeance, when he was carried by the water down the drain of the same lake, and was not seen again for a long time. This done, Viracocha made a sacred idol in that place, as a place for worship and as a sign of what he had there created. Leaving the island, he passed by the lake to the main land, taking with him the two servants who survived. He went to a place now called Tiahuanacu in the province of Collasuyu, and in this place he sculptured and designed on a great piece of stone, all the nations that he intended to create. This done, he ordered his two servants to charge their memories with the names of all tribes that he had depicted, and of the valleys and provinces where they were to come forth, which were those of the whole land. He ordered that each one should go by a different road, naming the tribes, and ordering them all to go forth and people the country. His servants, obeying the command of Viracocha, set out on their journey and work. One went by the mountain range or chain which they call the heights over the plains on the South Sea. The other went by the heights which overlook the wonderful mountain ranges which we call the Andes, situated to the east of the said sea. By these roads they went, saying with a loud voice "Oh you tribes and nations, hear and obey the order of Ticci Viracocha Pachayachachi, which commands you to go forth, and multiply and settle the land." Viracocha himself did the same along the road between those taken by his two servants, naming all the tribes and places by which he passed. At the sound of his voice every place obeyed, and people came forth, some from lakes, others from fountains, valleys, caves, trees, rocks and hills, spreading over the land and multiplying to form the nations which are to-day in Peru. his orders were obeyed during the war. When the war was over he became a private man as he had been before, like the rest of the people, nor did they pay him tribute either before or afterwards, nor any manner of tax whatever. To such a man they gave and still give the name of Sinchi which means valiant. They call such men "Sinchi-cuna" which means "valiant now" as who should say--"now during the time the war lasts you shall be our valiant man, and afterwards no": or another meaning would be simply "valiant men," for "cuna" is an adverb of time, and also denotes the plural. In whichever meaning, it is very applicable to these temporary captains in the days of general liberty. So that from the general flood of which they have a tradition to the time when the Incas began to reign, which was 35years, all the natives of these kingdoms lived on their properties without acknowledging either a natural or an elected lord. They succeeded in preserving, as it is said, a simple state of liberty, living in huts or caves or humble little houses. This name of Sinchi for those who held sway only during war, lasted throughout the land until the time of Tupac Inca Yupanqui, the tenth Inca, who instituted Curacas and other officials in the order which will be fully described in the life of that Inca. Even at the present time they continue this use and custom in the provinces of Chile and in other parts of the forests of Peru to the east of Quito and Chachapoyas, where they only obey a chief during war time, not any special one, but he who is known to be most valiant, enterprising and daring in the wars. The reader should note that all the land was private property with reference to any dominion of chiefs, yet they had natural chiefs with special rights in each province, as for instance among the natives of the valley of Cuzco and in other parts, as we shall relate of each part in its place. Before all things it must be understood that the valley of Cuzco is in 13° 1from the equator on the side of the south pole. In this valley, owing to its being fertile for cultivation, there were three tribes settled from most ancient times, the first called Sauaseras, the second Antasayas, the third Huallas. They settled near each other, although their lands for sowing were distinct, which is the property they valued most in those days and even now. These natives of the valley lived there in peace for many years, cultivating their farms. Before entering upon the history of the Incas I wish to make known or, speaking more accurately, to answer a difficulty which may occur to those who have not been in these parts. Some may say that this history cannot be accepted as authentic being taken from the narratives of these barbarians, because, having no letters, they could not preserve such details as they give from so remote an antiquity. The answer is that, to supply the want of letters, these barbarians had a curious invention which was very good and accurate. This was that from one to the other, from fathers to sons, they handed down past events, repeating the story of them many times, just as lessons are repeated from a professor's chair, making the hearers say these historical lessons over and over again until they were fixed in the memory. Thus each one of the descendants continued to communicate the annals in the order described with a view to preserve their histories and deeds, their ancient traditions, the numbers of their tribes, towns, provinces, their days, months and years, their battles, deaths, destructions, fortresses and Sinchis. Finally they recorded, and they still record, the most notable things which may be expressed in numbers (or statistics), on certain cords called quipu, which is the same as to say reasoner or accountant. On these cords they make certain knots by which, and by differences of colour, they distinguish and record each thing as by letters. It is a thing to be admired to see what details may be recorded on these cords, for which there are masters like our writing masters. All the native Indians of this land relate and affirm that the Incas Ccapac originated in this way. Six leagues S.S.W. of Cuzco by the road which the Incas made, there is a place called Paccari-tampu, at which there is a hill called Tampu-tocco, meaning "the house of windows." It is certain that in this hill there are three windows, one called "Maras-tocco," the other "Sutic-tocco," while that which is in the middle, between these two, was known as "Ccapac-tocco," which means "the rich window," because they say that it was ornamented with gold and other treasures. From the window called "Maras-tocco" came forth, without parentage, a tribe of Indians called Maras. There are still some of them in Cuzco. From the "Sutic-tocco" came Indians called Tampus, who settled round the same hill, and there are also men of this lineage still in Cuzco. From the chief window of "Ccapac-tocco," came four men and four women, called brethren. These knew no father nor mother, beyond the story they told that they were created and came out of the said window by order of Ticci Viracocha, and they declared that Viracocha created them to be lords. For this reason they took the name of Inca, which is the same as lord. They took "Ccapac" as an additional name because they came out of the window "Ccapac-tocco," which means "rich," although afterwards they used this term to denote the chief lord over many. Not content with this land, they came to another called Hays-quisro, a quarter of a league further on. Here they consulted together over what ought to be done respecting their journey, and over the best way of getting rid of Ayar Cachi, one of the four brothers. Ayar Cachi was fierce and strong, and very dexterous with the sling. He committed great cruelties and was oppressive both among the natives of the places they passed, and among his own people. The other brothers were afraid that the conduct of Ayar Cachi would cause their companies to disband and desert, and that they would be left alone. As Manco Ccapac was prudent, he concurred with the opinion of the others that they should secure their object by deceit. They called Ayar Cachi and said to him, "Brother! Know that in Ccapac-tocco we have forgotten the golden vases called tupac-cusi, and certain seeds, and the napa, which is our principal ensign of sovereignty." The napa is a sheep of the country, the colour white, with a red body cloth, on the top ear-rings of gold, and on the breast a plate with red badges such as was worn by rich Incas when they went abroad; carried in front of all on a pole with a cross of plumes of feathers. This was called suntur-paucar. They said that it would be for the good of all, if he would go back and fetch them. When Ayar Cachi refused to return, his sister Mama Huaco, raising her foot, rebuked him with furious words, saying, "How is it that there should be such cowardice in so strong a youth as you are? Get ready for the journey, and do not fail to go to Tampu-tocco, and do what you are ordered." Ayar Cachi was shamed by these words. He obeyed and started to carry out his orders. They gave him, as a companion, one of those who had come with them, named Tampu-chacay, to whom they gave secret orders to kill Ayar Cachi at Tampu-tocco, and not to return with him. With these orders they both arrived at Tampu-tocco. They had scarcely arrived when Ayar Cachi entered through the window Ccapac-tocco, to get the things for which he had been sent. He was no sooner inside than Tampu-chacay, with great celerity, put a rock against the opening of the window and sat upon it, that Ayar Cachi might remain inside and die there. When Ayar Cachi turned to the opening and found it closed he understood the treason of which the traitor Tampu-chacay had been guilty, and determined to get out if it was possible, to take vengeance. To force an opening he used such force and shouted so loud that he made the mountain tremble. With a loud voice he spoke these words to Tampu-chacay, "Thou traitor! thou who hast done me so much harm, thinkest thou to convey the news of my mortal imprisonment? That shall, never happen. For thy treason thou shalt remain outside, turned into a stone." So it was done, and to this day they show the stone on one side of the window Ccapac-tocco. Turn we now to the seven brethren who had remained at Hays-quisro. The death of Ayar Cachi being known, they were very sorry for what they had done, for, as he was valiant, they regretted much to be without him when the time came to make war on any one. So they mourned for him. This Ayar Cachi was so dexterous with a sling and so strong that with each shot he pulled down a mountain and filled up a ravine. They say that the ravines, which we now see on their line of march, were made by Ayar Cachi in hurling stones. Leaving this place they came to a hill at a distance of two leagues, a little more or less, from Cuzco. Ascending the hill they saw a rainbow, which the natives call huanacauri. Holding it to be a fortunate sign, Manco Ccapac said: "Take this for a sign that the world will not be destroyed by water. We shall arrive and from hence we shall select where we shall found our city." Then, first casting lots, they saw that the signs were good for doing so, and for exploring the land from that point and becoming lords of it. Before they got to the height where the rainbow was, they saw a huaca which was a place of worship in human shape, near the rainbow. They determined among themselves to seize it and take it away from there. Ayar Uchu offered himself to go to it, for they said that he was very like it. When Ayar Uchu came to the statue or huaca, with great courage he sat upon it, asking it what it did there. At these words the huaca turned its head to see who spoke, but, owing to the weight upon it, it could not see. Presently, when Ayar Uchu wanted to get off he was not able, for he found that the soles of his feet were fastened to the shoulders of the huaca. The six brethren, seeing that he was a prisoner, came to succour him. But Ayar Uchu, finding himself thus transformed, and that his brethren could not release him, said to them--"O Brothers, an evil work you have wrought for me. It was for your sakes that I came where I must remain for ever, apart from your company. Go! go! happy brethren. I announce to you that you will be great lords. I, therefore, pray that in recognition of the desire I have always had to please you, you will honour and venerate me in all your festivals and ceremonies, and that I shall be the first to whom you make offerings. For I remain here for your sakes. When you celebrate the huarachico (which is the arming of the sons as knights) you shall adore me as their father, for I shall remain here for ever." Manco Ccapac answered that he would do so, for that it was his will and that it should be so ordered. Ayar Uchu promised for the youths that he would bestow on them the gifts of valour, nobility, and knighthood, and with these last words he remained, turned into stone. They constituted him the huaca of the Incas, giving it the name of Ayar Uchu Huanacauri. And so it always was, until the arrival of the Spaniards, the most venerated huaca, and the one that received the most offerings of any in the kingdom. Here the Incas went to arm the young knights until about twenty years ago, when the Christians abolished this ceremony. It was religiously done, because there were many abuses and idolatrous practices, offensive and contrary to the ordinances of God our Lord. 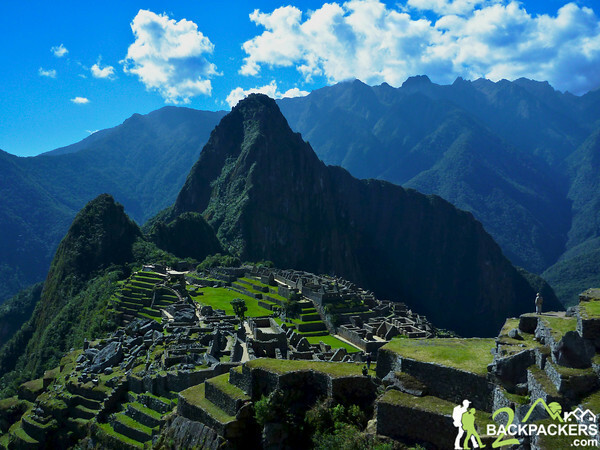 They went down to the foot of the hill, whence they began their entry into the valley of Cuzco, arriving at a place called Matahua, where they stopped and built huts, intending to remain there some time. Here they armed as knight the son of Manco Ccapac and of Mama Occlo, named Sinchi Rocca, and they bored his ears, a ceremony which is called huarachico, being the insignia of his knighthood and nobility, like the custom known among ourselves. On this occasion they indulged in great rejoicings, drinking for many days, and at intervals mourning for the loss of their brother Ayar Uchu. It was here that they invented the mourning sound for the dead, like the cooing of a dove. Then they performed the dance called Ccapac Raymi, a ceremony of the royal or great lords. It is danced, in long purple robes, at the ceremonies they call quicochico, which is when girls come to maturity, and the huarachico, when they pierce the ears of the Incas, and the rutuchico, when the Inca's hair is cut the first time, and the ayuscay, which is when a child is born, and they drink continuously for four or five days. From that place Manco Ccapac saw a heap of stones near the site of the present monastery of Santo Domingo at Cuzco. Pointing it out to his brother Ayar Auca, he said, "Brother! you remember how it was arranged between us, that you should go to take possession of the land where we are to settle. Well! look at that stone." Pointing out the stone he continued, "Go thither flying," for they say that Ayar Auca had developed some wings, "and seating yourself there, take possession of land seen from that heap of stones. We will presently come to settle and reside." When Ayar Auca heard the words of his brother, he opened his wings and flew to that place which Manco Ccapac had pointed out. Seating himself there, he was presently turned into stone, and was made the stone of possession. In the ancient language of this valley the heap was called cozco, whence that site has had the name of Cuzco to this day. 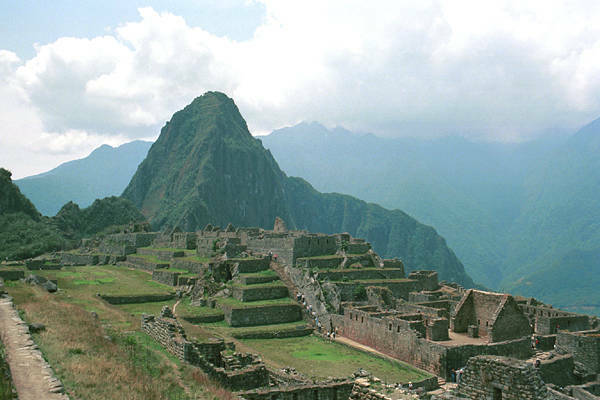 From this circumstance the Incas had a proverb which said, "Ayar Auca cuzco huanca," or, "Ayar Auca a heap of marble." Others say that Manco Ccapac gave the name of Cuzco because he wept in that place where he buried his brother Ayar Cachi. Owing to his sorrow and to the fertility, he gave that name which in the ancient language of that time signified sad as well as fertile. The first version must be the correct one because Ayar Cachi was not buried at Cuzco, having died at Ccapac-tocco as has been narrated before. And this is generally affirmed by Incas and natives. 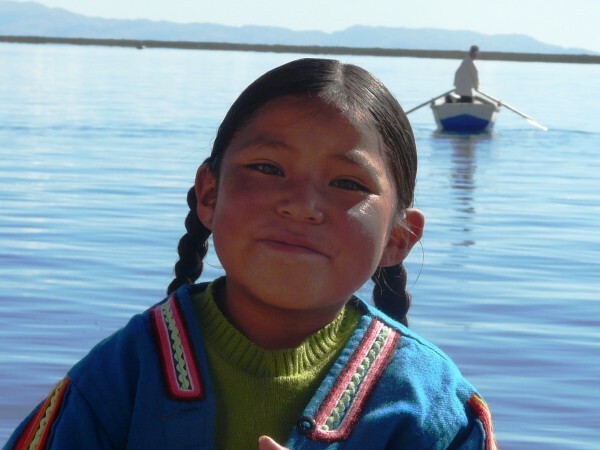 Arriving on the land of Huanay-pata, which is near where now stands the Arco de la plata leading to the Charcas road, he found settled there a nation of Indians named Huallas, already mentioned. Manco Ccapac and Mama Occlo began to settle and to take possession of the land and water, against the will of the Huallas. In this business they did many violent and unjust things. As the Huallas attempted to defend their lives and properties, many cruelties were committed by Manco Ccapac and Mama Occlo. They relate that Mama Occlo was so fierce that, having killed one of the Hualla Indians, she cut him up, took out the inside, carried the heart and lungs in her mouth, and with an ayuinto, which is a stone fastened to a rope, in her hand, she attacked the Huallas with diabolical resolution. When the Huallas beheld this horrible and inhuman spectacle, they feared that the same things would be done to them, being simple and timid, and they fled and abandoned their rights. Mama Occlo reflecting on her cruelty, and fearing that for it they would be branded as tyrants, resolved not to spare any Huallas, believing that the affair would thus be forgotten. So they killed all they could lay their hands upon, dragging infants from their mothers' wombs, that no memory might be left of these miserable Huallas. BEING IN THE HIGHEST PROSPERITY and sovereignty of his life, he fell ill of a grave infirmity, and, feeling that he was at the point of death, he sent for all his sons who were then in the city. In their presence he first divided all his jewels and contents of his wardrobe. Next he made them plough furrows in token that they were vassals of their brother, and that they had to eat by the sweat of their hands. He also gave them arms in token that they were to fight for their brother. He then dismissed them. Now I am withered and die." Having uttered these words, he laid his head upon a pillow and expired, giving his soul to the devil, having lived a hundred and twenty-five years. For he succeeded, or rather he took the Incaship into his hands when he was twenty-two, and he was sovereign one hundred and three years. THE WORD RAYMI is equivalent to our word Easter. Among the four festivals which the Kings celebrated in the city of Cuzco, the most solemn was that in honour of the Sun, during the month of June. It was called Yntip Raymi, which means the "Solemn Feast of the Sun." They called this feast especially Raymi, and though the word was also used for other festivals, this was the Raymi, and took place in the June solstice. There were present at it all the chief captains not then employed in war, and all the Curacas, lords of vassals, from all parts of the empire, not because they were ordered to be present, but because they rejoiced to take part in the solemnities of so great a festival. For, as the ceremonies included the worship of the Sun God and of the Ynca their king, there was no one who did not desire to take part in it. When the Curacas were prevented, by old age or sickness, from being present, or by the public service or the long distance, they sent their sons and brothers, accompanied by the noblest of their kindred, to be at the festival in their place. The Ynca was there in person, if not prevented by absence at the wars or while inspecting the provinces. The Curacas came in all the splendour they could afford. Some wore dresses adorned with bezants of gold and silver, and with the same fastened as a circlet round their headdresses. Others came in a costume neither more nor less than that in which Hercules is painted, wrapped in the skins of lions, with the heads fixed over their own. These were the Indians who claimed descent from a lion. Others came attired in the fashion that they paint angels, with great wings of the bird called Cuntur. These wings are black and white, and so long that the Spaniards have often killed birds measuring fourteen feet between the tips of the wings. These are the Indians who declare that they are descended from a Cuntur. The Yuncas came attired in the most hideous masks that can be imagined, and they appeared at the feasts making all sorts of grimaces, like fools and simpletons; and for this purpose they brought instruments in their hands, such as badly-made flutes and tambourines, and pieces of skin, to assist them in their fooleries. Other Curacas wore various costumes to distinguish them, and each different tribe came with the arms with which they fought in war. Some had bows and arrows; others lances, darts, javelins, clubs, slings, axes with short handles, and two-handed axes with long handles. The necessary preparations having been made, the Ynca came forth at dawn, on the day of the festival, accompanied by all his relations, marching according to their age and dignity. They proceeded to the great square, which was called Huacay-pata. Here they waited for sunrise, all of them being barefooted, and all watching the east with great attention. As soon as the sun appeared, they all bent down resting on their elbows (which, among these Indians, is the same as going down on the knees), with the arms apart and the hands raised. Thus they worshipped, and kissed the air (which with them is the equivalent to kissing the hand or the dress of a Prince in Spain); and they adored with much fervour and devotion, looking upon the Sun as their god and natural father. Presently the King rose to his feet, the rest being still prostrate, and took two great cups of gold, called aquilla, full of the beverage that they drink. He performed this ceremony as the first-born, in the name of his father, the Sun, and, with the cup in his right hand, invited all his relations to drink. This custom of inviting each other to drink was the usual mode by which superiors showed favour and complacency to inferiors, and by which one friend saluted another. Having given the invitation to drink, the Ynca emptied the vase in his right hand, which was dedicated to the Sun, into a jar of gold, whence the liquor flowed down a stone conduit of very beautiful masonry from the great square to the temple of the Sun, thus being looked upon as drunk by the deity. From the vase in his left hand the Ynca himself drank, that being his share, and then divided what remained among the other Yncas, pouring it into smaller cups of gold and silver. Gradually the principal vase, which the Ynca held, was emptied; and the partakers thus received such virtue from it as was imparted by its having been sanctified by the Sun or the Ynca, or rather by both together. Each member of the blood royal drank of this liquor. The Curacas in the other square received drinks of the beverage made by the chosen virgins, but not that which had also been sanctified by the Ynca. This ceremony having been performed, which was but a foretaste of what would have to be drunk afterwards, all went in procession to the temple of the Sun. All took off their shoes, except the King, at two hundred paces before reaching the doors; but the King remained with his shoes on, until he came to the doors. The Ynca and his relations then entered the temple as legitimate children of the deity, and there worshipped the image of the Sun. But the Curacas, being unworthy of so great an honour, remained outside in a large square before the temple doors. The Ynca offered to the Sun the golden vases with which he had performed the ceremony, and the other members of his family gave their cups to the Ynca priests, who were set apart for that office; for persons who were not priests, even if they were of the royal blood, were not allowed to perform the priestly office. Having offered up the cups of the Yncas, the priests came to the doors to receive those of the Curacas, who took their places according to their seniority as vassals, and presented the gold and silver articles which they had brought from their provinces as offerings to the Sun. These offerings were in the form of sheep, lambs, lizards, toads, serpents, foxes, tigers, lions, and many sorts of birds, in short, of all the animals in the provinces, each imitated from nature in gold and silver, though the size of each article was not great. As soon as the offerings were made, the chiefs returned to their places in procession; and presently the priests came out with many lambs, ewes, and rams of all colours, for the native sheep of that country are of different colours, like the horses in Spain. All this flock was the property of the Sun. They took a black lamb, for among the Indians this colour was preferred for the sacrifices, as more sacred. For they said that a black beast was black all over, while a white one, though its body might be white, always had a black nose, which was a defect, and caused it to be less perfect than a black beast. For this reason also, the Kings generally dressed in black, and their mouming was the natural colour of the wool, which they call grey. If the lungs were palpitating, or had not ceased to live as they call it, the augury was looked upon as most fortunate. If this omen appeared, they took no note of others that might appear of an opposite character. For they said that the excellence of this lucky omen would overcome the evil of all contrary signs. They then took the entrails, blew air into them, and fastened up the mouth, or held it tight with their hands. Presently they began to watch the ways by which the air entered and distended the veins and arteries. If they were very full of air, it was looked upon as a good omen. They had other ways of seeking auguries of which I took no note, but I remember having seen these two methods practised on two occasions when I was a child. I went into a yard on one occasion, where some old unbaptised Indians were performing a sacrifice, not of the Raymi, for that festival had been abolished before I was born, but for some special purpose, in order to watch the omens. With this object they sacrificed lambs and sheep, as on the feast of Raymi, for their special sacrifices were performed in imitation of those at the great festivals. It was necessary that the fire for the sacrifice should be new, and given by the hand of the Sun, as they expressed it. For this purpose they took a large bracelet, called chipana (like those they usually wear on the left thumb). This was held by the high priest. It was larger than usual, and had on it a highly polished concave plate, about the diameter of an orange. They put this towards the Sun, at an angle, so that the reflected rays might concentrate on one point, where they had placed a little cotton well pulled out, for they did not know how to make tinder; but the cotton was soon lighted in the natural way. With this fire, thus obtained from the hands of the Sun, they consumed the sacrifice, and roasted all the meat on that day. Portions of the fire were then conveyed to the temple of the Sun, and to the convent of virgins, where they were kept in all the year, and it was an evil omen if they were allowed to go out. If on the eve of the festival, which was the time when they made the preparations for the sacrifice, there was no sun wherewith to light the new fire, they obtained it by means of two thin cylindrical sticks, about the girth of a man's finger, and half a vara long, which they rubbed together. They give the name of Vyaca both to the sticks and to the act of obtaining fire from them, the same word serving both for a noun and a verb. The Indians use these sticks instead of flint and steel, and they travel with them, so as to have the means of making a fire at their sleeping places, when in an uninhabited region. I have often seen this when I have made a journey with the Indians, and the shepherds make use of sticks for the same purpose. They looked upon it as a bad omen to light the fire for the festival in this way, saying that, as the Sun refused to kindle the flame with his own hand, he must be angry with them. All the meat for the feast was roasted in public, in the two squares, and it was distributed amongst all those who were present at the feast, whether Yncas, Curacas, or common people. And each received a piece of the bread called Canca with the meat. This was the first dish in their grand and solemn banquet. Afterwards they received a great quantity of eatables, which were eaten without drinking; for it was the universal custom of the Indians of Peru not to drink while they were eating. The Ynca, seated in his golden chair, which was placed on a platform of the same metal, sent to the members of the tribes called Hanan Cuzco and Hurin Cuzco, desiring them to drink, in his name, with the most distinguished Indians belonging to other nations. First, they invited the captains who had shown valour in war, who, even when they were not lords of vassals, were for their bravery preferred to Curacas. But if a Curaca, besides being a lord of vassals, was also a captain in the wars, they did him honour both on the one account and on the other. Next the Ynca ordered the Curacas living in the vicinity of Cuzco, to be invited to drink, being those whose ancestors the first Ynca Manco Ccapac had reduced to his service. These chiefs, owing to the great privilege of bearing the name of Ynca, which that Prince had granted them, were looked upon as nobles of the highest rank next to the Yncas of the blood royal, and before all the chiefs of other tribes. For those kings never thought of diminishing in the smallest degree any privilege or favour that their ancestors had granted to any of their vassals, but on the contrary confirmed and increased them. In these drinking bouts that the Indians had with each other, it must be understood that they all held their cups touching each other, two and two, and whether large or small, they were always of the same size and shape, and of the same metal, whether gold, silver or wood. This custom was enforced that each might drink the same quantity. He who gave an invitation to drink carried the two cups in his hands, and if the invited person was of lower rank he was given the cup in the left hand, if of equal or higher rank, the cup in the right; and with more or less ceremony according to the position in life of one and the other. Then they both drank together, and, the person inviting to drink, having received back his cup, returned to his place. On these occasions the first invitation was from a superior to his inferior, in token of favour and kindness. Afterwards the inferior invited his superior, as an acknowledgment of his vassalage and duty. In observing this custom, the Ynca first sent an invitation to his vassals, in each nation preferring the captains before those who were not warriors. The Ynca who took the invitation said to the invited person:-"The sole Ynca sends me to invite you to drink, and I come to drink with you in his name." The captain or Curaca then took the cup with much reverence, raised his eyes to the Sun, as though he would give thanks for so undeserved a favour conferred by his son, and having drunk, he returned the cup to the Ynca without another word, only making signs of adoration with his hands and kissing the air with his lips. After the first invitation to drink, the captains and Curacas of all the nations returned the challenges in the order that they had received them, some to the Ynca himself, and the others to his relations, according as the first invitation had been received. The Ynca was approached without a word, and merely with the signs of adoration I have already described. He received them with much condescension, and took the cups they presented, but as he could not, nor was it lawful for him to drink of them all, he merely put them to his lips, drinking a little from all of them, from some more, from others less, according to the favour he wished to show to their owners, which was regulated by their rank and merit. And he ordered the attendants, who were all Yncas by privilege, to drink for him with those captains and Curacas; who having done so, returned the cups. The celebration of the feast of Raymi lasted for nine days, during which time there was abundance of eating and drinking, and such rejoicing as each person could show. But the sacrifices for observing omens were only made on the first day. As soon as the nine days were over the Curacas returned to their lands with the permission of the King, very joyful and contented at having celebrated the principal feast of their god the Sun. When the King was occupied in war or in visiting his dominions, he celebrated the feast in the place where he happened to be, but not with so much solemnity as when he was at Cuzco; while the Ynca governor, the High Priest, and others of the blood royal who remained behind, took care to celebrate it in the capital. On those occasions the Curacas assembled in the provinces, each one going to the feast which was held nearest to the place of his abode. 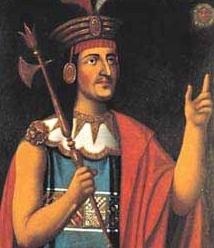 THE YNCA PACHACUTEC, being now old, resolved to rest and not to make further conquests; for he had increased his empire until it was more than one hundred and thirty leagues from north to south, and in width from the snowy chain of the Andes to the sea, being sixty leagues from east to west in some places, and seventy in others, more or less. He now devoted himself to the confirmation of the laws of his ancestors, and to the enactment of new laws for the common good. He founded many towns in those lands which by industry and by means of the numerous irrigation channels he caused to be made, were converted from sterile and uncultivated wilds into fruitful and rich districts. He built many temples of the Sun in imitation of that of Cuzco, and many convents of virgins. He ordered many store-houses on the royal roads to be repaired, and houses to be built where the Yncas might lodge when travelling. He also caused store-houses to be built in all villages, large or small, where supplies might be kept for succouring the people in time of scarcity, and he ordered these depots to be filled from the crops of the Ynca and of the Sun. In short, it may be said that he completely reformed the empire, as well as regards their vain religion, which he provided with new rites and ceremonies, destroying the numerous idols of his vassals, as by enacting new laws and regulations for the daily and moral life of the people, forbidding the abuses and barbarous customs to which the Indians were addicted before they were brought under his rule. He also reformed the army in such fashion as proved him to be as great a captain as he was a king and a ruler; and he increased the honours and favours shown to those who distinguished themselves in war. He especially favoured and enlarged the great city of Cuzco, enriching it with new edifices and a larger population. He ordered a palace to be built for himself near the schools founded by his great grandfather Ynca Rocca. On account of these deeds, as well as for his amiable disposition and benignant government, he was loved and worshipped as another Jupiter. He reigned, according to the accounts of the Indians, more than fifty years, and some say more than sixty years. He lived in much peace and tranquillity, being alike beloved and obeyed, and at the end of this long time he died. He was universally lamented by all his vassals, and was placed among the number of their gods, as were the other Kings Yncas, his ancestors. He was embalmed, according to their custom, and the mourning, sacrifices and burial ceremonies lasted for a year. He left as his heir the Ynca Yupanqui, who was his son by the Ccoya Anahuarque, his legitimate wife and sister. He left more than three hundred other sons and daughters, and some even say that, judging from his long life and the number of his wives, he must have had four hundred either legitimate or illegitimate children; and though this is a great many, the Indians say that it was few for such a father. The Spanish historians confuse these two Kings, father and son, giving the names of both to one. The father was named Pachacutec. The name Ynca was common to all, for it was their title from the days of the first Ynca, called Manco Ccapac. 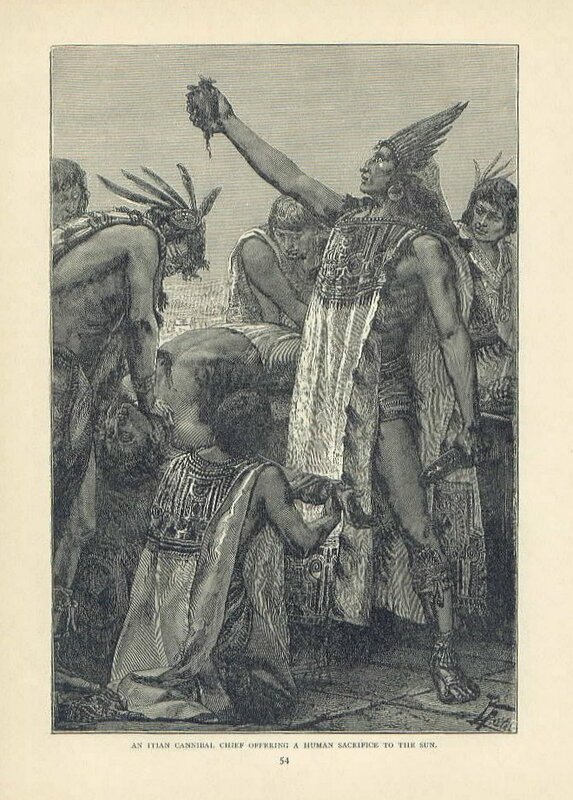 In our account of the life of Lloque Yupanqui we described the meaning of the word Yupanqui, which word was also the name of this King, and combining the two names, they formed Ynca Yupanqui, which title was applied to all the Kings Yncas, so that Yupanqui ceased to be a special name. These two names are equivalent to the names Caesar Augustus, given to all the Emperors. Thus the Indians, in recounting the deeds of their Kings, and calling them by their names, would say, Pachacutec Ynca Yupanqui. The Spaniards understood that this was one King, and they do not admit the son and successor of Pachacutec, who was called Ynca Yupanqui, taking the two titles as his special name, and giving the same name to his own eldest son. But the Indians, to distinguish him from his father, called the latter Tupac (which means 'He who shines') Ynca Yupanqui. He was father of Huayna Ccapac Ynca Yupanqui, and grandfather of Huascar Ynca Yupanqui; and so all the other Yncas may be called by these titles. I have said this much to enable those who read this history to avoid confusion. The Father Blas Valera, speaking of this Ynca, says as follows: "The Ynca Huiraccocha being dead and worshipped among the Indians as a god, his son, the great Titu, with surname of Manco Ccapac, succeeded him. This was his name until his father gave him that of Pachacutec, which means 'Reformer of the World.' That title was confirmed afterwards by his distinguished acts and sayings, insomuch that his first name was entirely forgotten. He governed his empire with so much industry, prudence and resolution, as well in peace as in war, that not only did he increase the boundaries of all the four quarters, called Ttahua-ntin suyu, but also he enacted many laws, all which have been confirmed by our Catholic Kings, except those relating to idolatry and to forbidden degrees of marriage. This Ynca above all things ennobled and increased, with great privileges, the schools that were founded in Cuzco by the King Ynca Rocca. He added to the number of the masters, and ordered that all the lords of vassals and captains and their sons, and all the Indians who held any office, should speak the language of Cuzco; and that no one should receive any office or lordship who was not well acquainted with it. In order that this useful law might have full effect, he appointed very learned masters for the sons of the princes and nobles, not only for those in Cuzco, but also for those throughout the provinces, in which he stationed masters that they might teach the language of Cuzco to all who were employed in the service of the state. Thus it was that in the whole empire of Peru one language was spoken, although now (owing to negligence) many provinces, where it was understood, have entirely lost it, not without great injury to the preaching of the gospel. All the Indians who, by obeying this law, still retain a knowledge of the language of Cuzco, are more civilised and more intelligent than the others. "This Pachacutec prohibited any one, except princes and their sons, from wearing gold, silver, precious stones, plumes of feathers of different colours, nor the wool of the vicuña, which they weave with admirable skill. He permitted the people to be moderately ornamented on the first days of the month, and on some other festivals. The tributary Indians still observe this law, and content themselves with ordinary clothes, by which they avoid much vice which gay clothing is apt to cause. But the Indians, who are servants to Spaniards, and those who live in Spanish cities, are very extravagant in this particular, and do much harm alike to their pockets and consciences. This Ynca also ordered that great frugality should be observed in eating, although in drinking more freedom was allowed, both among the princes and the common people. He ordained that there should be special judges to try the idle, and desired that all should be engaged in work of some kind, either in serving their parents or masters, or in the service of the state; so much so, that even boys and girls of from five to seven years of age were given something to do suitable to their years. The blind, lame, and dumb, who could use their hands, were employed in some kind of work, and the aged were sent to scare the birds from the crops, and were supplied with food and clothing from the public store-houses. In order that labour might not be so continuous as to become oppressive, the Ynca ordained that there should be three holidays every month, in which the people should divert themselves with various games. He also commanded that there should be three fairs every month, when the labourers in the field should come to the market and hear anything that the Ynca or his Council might have ordained. They called these assemblies Catu, and they took place on the holidays. "The Ynca also made a law that every province should have a fixed boundary enclosing the forests, pastures, rivers, lakes, mountains, and lands for tillage; all which should belong to that province and be within its jurisdiction in perpetuity. No Governor or Curaca could diminish or divide or appropriate to his own use any portion; but the land was divided according to a fixed rule which was defined by the same law for the common good, and the special benefit of the inhabitants of the province. The royal estates and those of the Sun were set apart, and the Indians had to plough, sow, and reap the crops, as well on their own lands as on those of the State. Hence it will be seen that it is false, what many have asserted, that the Indians had no proprietary right in the land. For this division was not made with reference to proprietary right, but for the common and special work to be expended upon the land. It was a very ancient custom among the Indians to work together not only on public lands, but also on their own, and with this view they measured the land, that each might complete such portion as he was able. The whole population assembled, and first worked their own lands in common, each one helping his neighbours, and then they began upon the royal estates; and the same practice was followed in sowing and in reaping. Almost in the same way they built their houses. The Indian who required a house went to the Council to appoint a day when it should be built, the inhabitants with one accord assembled to assist their neighbour, and thus the house was completed. The Ynca approved of this custom, and confirmed it by law. To this day many villages of Indians observe this law, and help each other with Christian charity; but avaricious men, who think only of themselves, do themselves harm and their neighbours no good. "In fine, this King, with the advice of his Council, made many laws, rules, ordinances, and customs for the good of the people in numerous provinces. He also abolished many others which were detrimental either to the public peace or to his sovereignty. He also enacted many statutes against blasphemy, patricide, fratricide, homicide, treason, adultery, child-stealing, seduction, theft, arson; as well as regulations for the ceremonies of the temple. He confirmed many more that had been enacted by the Yncas his ancestors; such as that sons should obey and serve their fathers until they reached the age of twenty-five, that none should marry without the consent of the parents, and of the parents of the girl; that a marriage without this consent was invalid and the children illegitimate; but that if the consent was obtained afterwards the children then became legitimate. This Ynca also confirmed the laws of inheritance to lordships according to the ancient customs of each province; and he forbade the judges from receiving bribes from litigants. This Ynca made many other laws of less importance, which I omit, to avoid prolixity. Further on I shall relate what laws he made for the guidance of judges, for the contracting of marriages, for making wills, and for the army, as well as for reckoning the years. In our time the Viceroy, Don Francisco de Toledo, changed or revoked many laws and regulations made by this Ynca; and the Indians, admiring his absolute power, called him the second Pachacutec, for they said he was the Reformer of the first Reformer. Their reverence and veneration for this Ynca was so great that to this day they cannot forget him." "When subjects, captains and Curacas, cordially obey the King, then the kingdom enjoys perfect peace and quiet. "Envy is a worm that gnaws and consumes the entrails of the envious. "He that envies and is envied, has a double torment. "It is better that others should envy you for being good, than that you should envy others, you yourself being evil. "He that envies another, injures himself. "He that envies the good, draws evil from them for himself, as does the spider in taking poison from flowers. "Drunkenness, anger and madness go together; only the first two are voluntary and to be removed, while the last is perpetual. "He that kills another without authority or just cause, condemns himself to death. "He that kills his neighbour must of necessity die; and for this reason the ancient Kings, our ancestors, ordained that all homicides should be punished by a violent death, a law which we confirm afresh. "Under no circumstances should thieves be tolerated, who, being able to gain a livelihood by honest labour and to possess it by a just right, wish to have more by robbing and stealing. It is very just that he who is a thief should be put to death. "Adulterers, who destroy the peace and happiness of others, ought to be declared thieves, and condemned to death without mercy. "The noble and generous man is known by the patience he shows in adversity. "Impatience is the sign of a vile and base mind, badly taught and worse accustomed. "When subjects do their best to obey without any hesitation, kings and governors ought to treat them with liberality and kindness; but when they act otherwise, with rigour and strict justice, though always with prudence. "Judges who secretly receive gifts from suitors ought to be looked upon as thieves, and punished with death as such. "Governors ought to attend to two things with much attention. The first is, that they and their subjects keep and comply exactly with the laws of their king. The second, that they consult with much vigilance and care, touching the common and special affairs of their provinces. The man who knows not how to govern his house and family, will know much less how to rule the state. Such a man should not be preferred above others. "The physician herbalist that is ignorant of the virtues of herbs, or who, knowing the uses of some, has not attained a knowledge of all, understands little or nothing. He ought to work until he knows all, as well the useful as the injurious plants, in order to deserve the name he pretends to. "He who attempts to count the stars, not even knowing how to count the marks and knots of the 'quipus,' ought to be held in derision." These are the sayings of Ynca Pachacutec. He speaks of the marks and knots of the accounts because, as they had neither letters for writing nor figures for ciphering, they kept their accounts by means of marks and knots. Viracocha, Lord of the Universe! Would that Thou wert not hidden from this son of Thine! or, perchance, abroad in space. Where is his mighty judgment-seat? and Thou wilt know me. Thou who art without equal upon the earth! Thou who art from the beginnings of the world until its end! "Let this be a man." "Let this be a woman." Thou madest them and gavest them being. Watch over them, that they may live in health and in peace. art Thou in the sky or upon the earth? In the clouds or in the deeps? and grant him his petitions. preserve us, and accept this our sacrifice.